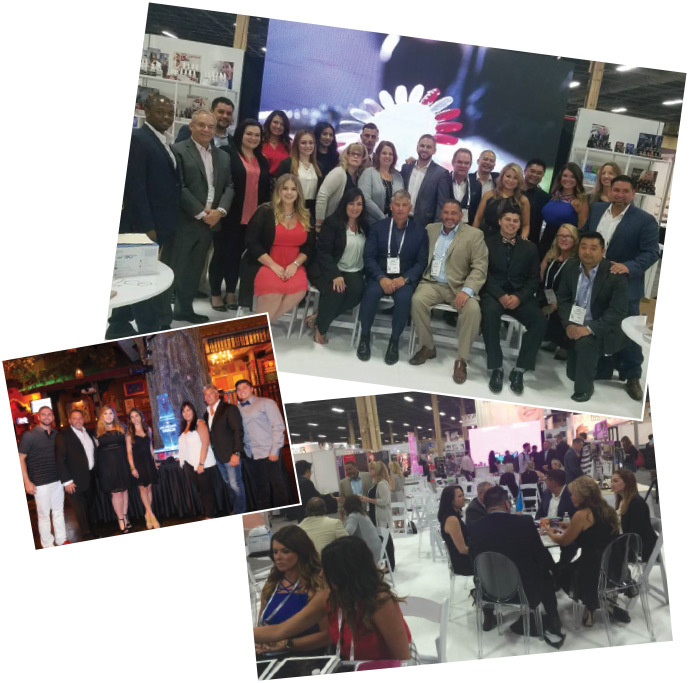 Cosmoprof has come and gone again and what a year it was! Distributors, salespeople and even bloggers from all over the country (and world) made their way to Las Vegas to see what the coming year would bring from Gelish and Morgan Taylor. "The coming year will be filled with new products and important launches from both Gelish and Morgan Taylor," stated CEO & Founder Danny Haile. And boy he is right! With the new REACTmax and Professional Refills from Morgan Taylor and the 18G PLUS from Gelish, it's going to be a busy last couple months of 2016. Cosmoprof attendees were also treated to sneak peeks of what 2017 will hold. Gelish has always been the gold standard of gel polish in our industry. Now it's become the gold standard amongst athletes as well! 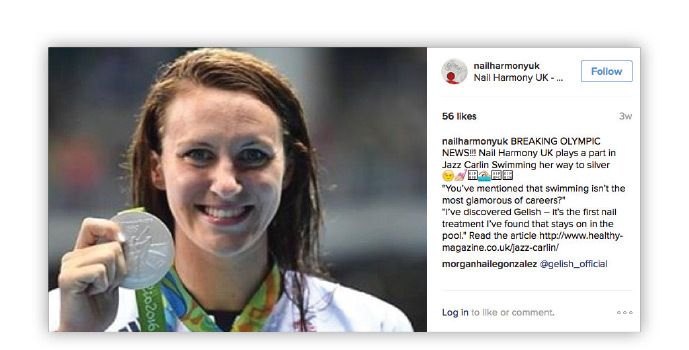 In a recent interview with Healthy Magazine, Great Britain's Olympic swimmer Jazz Carlin admits that her secret to staying glam in the pool is Gelish. "I've also discovered Gelish — it's the first nail treatment I've found that stays on in the pool. It's always nice to add a bit of glamour, even when I'm training." This past August marked a momentous occasion as Morgan Haile of Morgan Taylor became a Mrs! Morgan and her longtime partner Tony, tied the knot at a beautiful rustic theater in sunny Southern California. The bride and groom could not have looked more in love as they said their vows and sealed their union before family, friends and nail industry power hitters. While we all love a good love story, I know what you're all thinking... So what did her nails looked like?! The short answer; they look absolutely fabulous! Morgan's nails for her big day were dreamed up and done by her father Danny Haile. The beautiful sculpted acrylics were the perfect length to make a statement without overpowering the look. Sweetly shaped squovals were topped with a blush pink shade of Gelish, created especially for the big day. Of course, no wedding nails would be complete without a bit of pop, so Danny used the NEW Morgan Taylor Designer Plates to layer silver and white filigree on two accent nails. The finished look was nothing short of elegant.